Much before I started contributing to The League of Extraordinary Ladies and Gentlemen, I was publishing the Sudoku and Puzzles variations on this blog. This post contains all those old Sudoku puzzles as well new Sudoku puzzles for Fun With Sudoku Series. This blog also have Mini Sudoku Series which contains mostly 6x6 Sudoku puzzles. These puzzles I have been creating for introducing different Sudoku Variations to Kids. Also these Mini Sudoku puzzles acts as an examples for the 9x9 Sudoku puzzle variations. 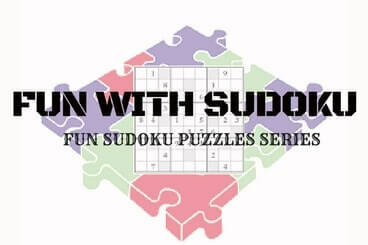 Here is the list of all the Sudoku puzzles in the Fun With Sudoku Series. Here are some the Fun With Sudoku Series puzzles which are still not numbered.